Joint Replacement Specialist. 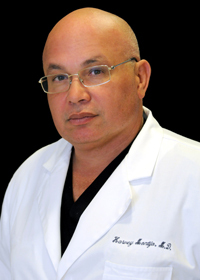 Dr. Montijo has extensive knowledge in the latest surgical techniques and treats all areas of the musculoskeletal system including hips and knees. Dr. Montijo is the Founder of Optimal Wellness and Longevity Institute providing wellness preventative care for patients with osteoporosis and arthritis. He is also a Member of the American Medical Association, Florida Orthopaedic Society and American Academy of Orthopaedic Surgeons. achievements were honored, as he was a member of the Dean's List as a student. At the same time, he was a four-year Judo State Champion in Puerto Rico and a Gold and Bronze Medal Winner at the Judo Central American Games. Missionary work and being a Pastor. He is also involved in medical missionary work such as volunteering his time as a surgeon in Vietnam and during the Haiti relief efforts. He also enjoys his new found passion of being a grandfather to four beautiful and growing grandkids. We look forward to the opportunity of working with you to serve your patient care needs.